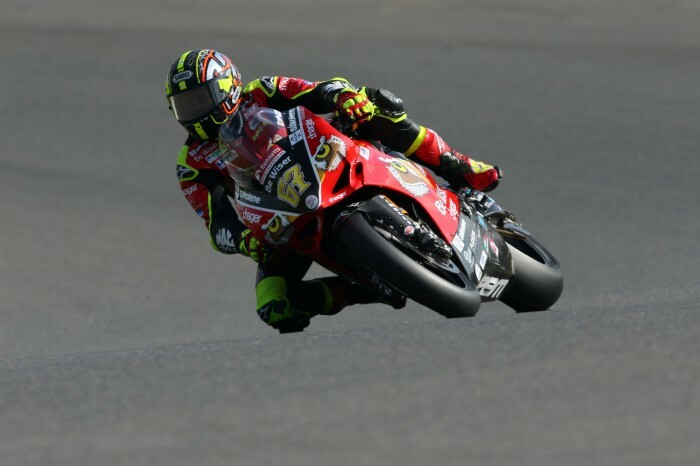 Shane Byrne took today’s first Bennetts British Superbike Championship race win after grabbing the lead on the penultimate lap. The Be Wiser Ducati rider capitalised on a mistake by leader Bradley Ray to move into the lead, just two laps from the flag to take his first win of the year. Pole sitter Ray had taken the lead at the start, and set a strong pace at the front, clocking the fastest lap of the race and a new Brands Hatch Indy lap record of 45.201secs on lap three. But Byrne was never far behind, and the leading duo soon dropped the rest as they cleared off at the front. Behind, Leon Haslam had started well and moved up to third, but soon lost touch with the leaders as he started to drop a bit of time. 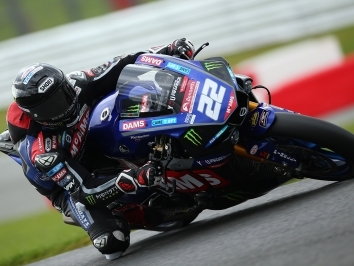 Eventually he fell into the clutches of the lone Honda Racing machine of Jason O’Halloran, who had spent several laps trying to get past the Tyco BMW of Michael Laverty before making a move on Haslam to take third on lap 15. Behind, the second Tyco machine of Christian Iddon was also creeping up the order, and he made it up to fifth, while Byrne’s team-mate Glenn Irwin recovered from a bad start down in 12th spot to claw his way back to seventh. As the final few laps began, it looked like Byrne was sitting behind Ray waiting for a chance to pounce, and he got his chance as they started the penultimate lap. Ray ran a little wide going into Paddock Hill Bend and it was all Byrne needed, as he scythed through to take the lead. Ray recovered but wasn’t in any position to catch him, and had to settle for second. Although Haslam appeared to pick up the pace in the closing laps, he wasn’t able to catch the Honda ahead and O’Halloran picked up third. Iddon was fifth ahead of RAF Regular & Reserves Kawasaki rider Jake Dixon, as Irwin took seventh ahead of Laverty. 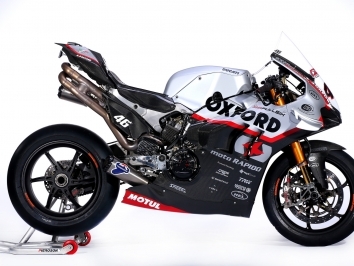 Movuno.com Halsall Racing’s Tommy Bridewell was ninth as Peter Hickman gave the Smiths Racing team a tenth. Ray’s Buildbase Suzuki team-mate Richard Cooper looked set for a top 10 finish but crashed out at Graham Hill Bend on lap 21, while James Ellison suffered a terrible start and dropped back from third on the grid to 11th, eventually limping across the line 16th and outside the points on his Anvil Hire TAG Yamaha.